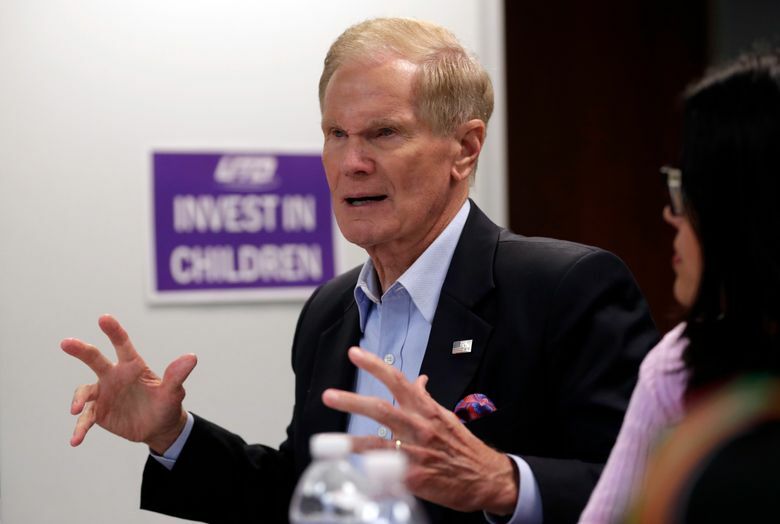 WASHINGTON (AP) — Florida’s Democratic senator said Wednesday that Russian operatives have penetrated some of his state’s election systems ahead of this year’s midterms, but state officials said they have no information to support the claim. “We were requested by the chairman and vice chairman of our intelligence committee to let the supervisors of election in Florida that the Russians are in their records,” Nelson said, adding that the letter also urged the county officials to seek help from the Homeland Security Department. “This is no-fooling time. That’s why two senators — bipartisan — reached out to the apparatus in Florida to let them know that the Russians are in the records and all they (the Russians) have to do — if those election records are not protected — is to go in and start eliminating registered voters. The Florida Department of State said it had received “zero information” from Nelson or his staff that supports the claims of Russian meddling — something national intelligence and homeland security officials have repeatedly warned was likely ahead of the midterms. The department said state and local election officials have taken “significant steps to ensure the security and integrity” of Florida elections. Counties are using $1.9 million to purchase a network monitoring security system that provides automated alerts about threats, the department said. Moreover, counties are using $15.5 million in funding to make significant investments in election security prior to this year’s midterms. The ranking Democrat, Sen. Mark Warner of Virginia, issued a statement, but did not confirm or deny Nelson’s claims. White House critics have harshly criticized President Donald Trump on the issue of election security. They say his administration lacks a clear national strategy to protect U.S. elections from foreign meddling by Russia or any other adversary. In response, top national security officials appeared together at the White House last week to insist there is a “vast, government-wide effort” to safeguard a cornerstone of American democracy.